Have you heard of the chalk paint trend? Here we discuss what chalk paint is, how to make your own homemade version, and how to use chalk paint in 4 fun and easy ways. We were blessed with lots of beautiful weather, and plenty of last-minute preparations to finally complete our backyard renovation. One of the projects I couldn’t wait to try was to start decorating with chalk paint! 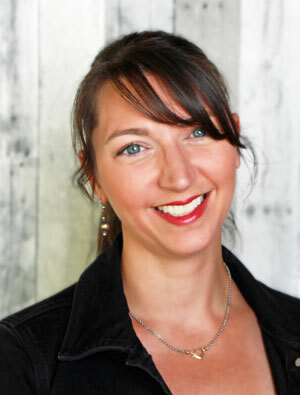 Now, I know I’m late to the chalk paint game, but just in case you aren’t familiar with it, chalk paint was originally developed by Annie Sloan for use on furniture and other surfaces. So why did it take me so long to try out chalk paint? It’s plain expensive! A single quart can cost over $30, not to mention the special brushes and finishes you might want for your project. Add on to it, the cost of finishing wax (to increase durability), and a single project can quickly run $100 or more just for the painting supplies! Being a DIY girl, it’s probably no surprise that I was intrigued by the idea of creating and using my own chalk-style paint. The BEST thing about a homemade recipe is that you can choose your own paint color. I decided to mix up some chalk paint using a paint sample from the store and to use up some leftover latex paint. Painting glass jars is the easiest way to get started with chalk paint projects. 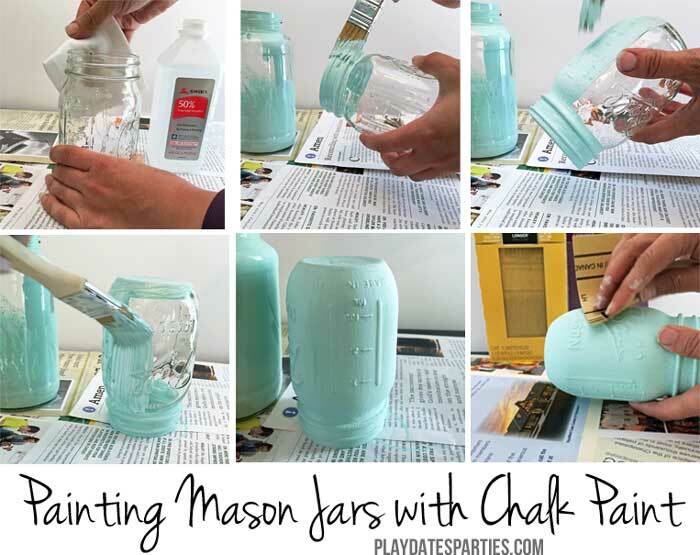 And even though I show mason jars in the tutorial below, feel free to paint other jars, too! Wipe down the outside of the jar with rubbing alcohol and a gauze pad. Using an inexpensive brush, apply a thin layer of paint. Start at the rim of the jar and then flip it over to finish the jar off. Let the jar dry completely, about 2 to 3 hours. Repeat steps 2 and 3 until you achieve your desired coverage. Let the final coat sit overnight, or at least 8 hours. Distress your jars by sanding the details. Recommend using 180 grit sandpaper on the main areas, and 220 grit sandpaper on the delicate areas. Wipe off any excess dust. Seal the jars with a finishing wax or an acrylic sealer. I used a spray-on acrylic sealer that I had on hand. Note: This method will result in some brush strokes on the final project, so you will want to make sure you paint in the direction you would like the strokes to be seen. Even after painting several glass jars, I had LOTS of homemade chalk paint leftover. So, it was time to have some fun. This was so much fun. 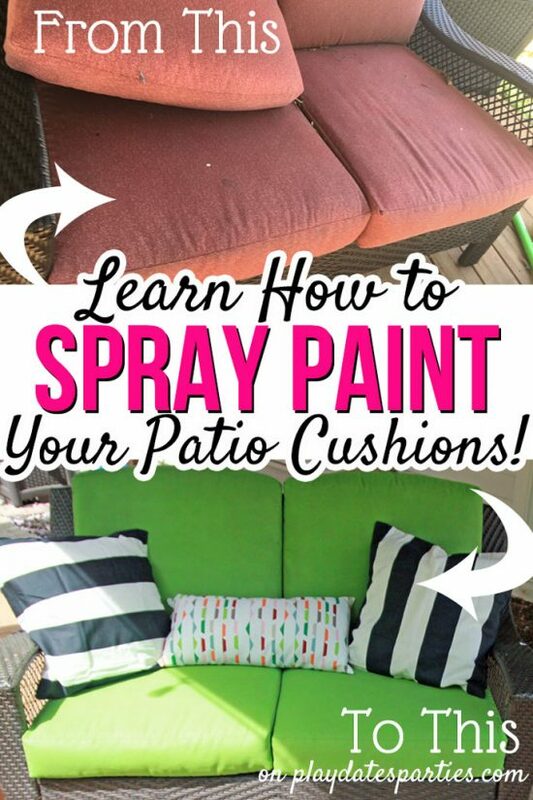 All you need is to put a base coat of paint on a cinder block, tape off a few areas, and then add your chalk paint in the remaining spaces. 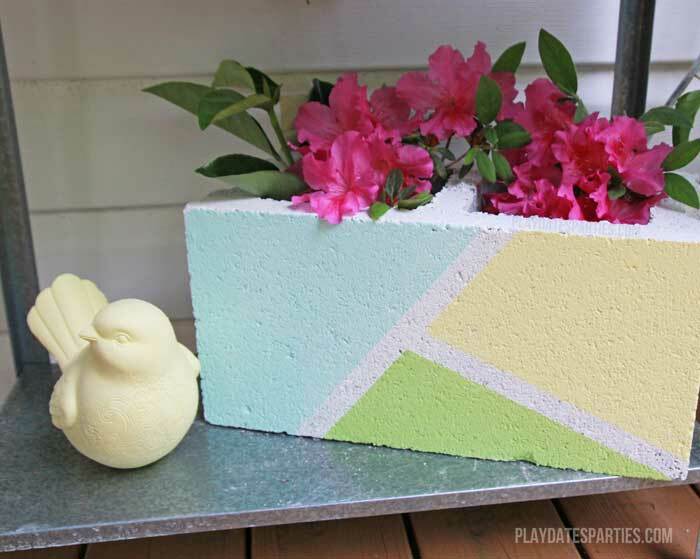 Add some plastic jars (32 ounce yogurt jars are perfect) inside the openings of the cinder block, and you have a fun vase! This ceramic bird has been sitting around our house for years. But I never wanted to display it because it was a bit too granny-chic for me. 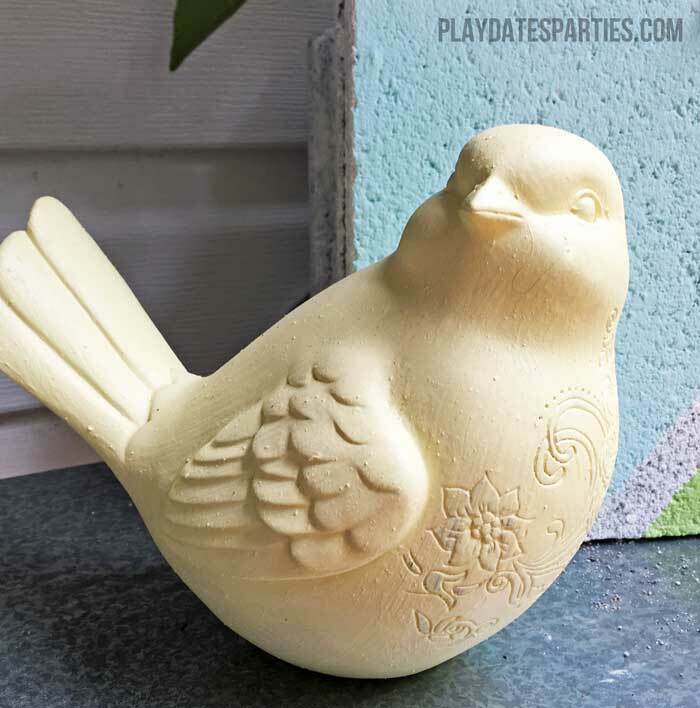 A couple quick coats of chalk paint, and this little bird is all up to date! 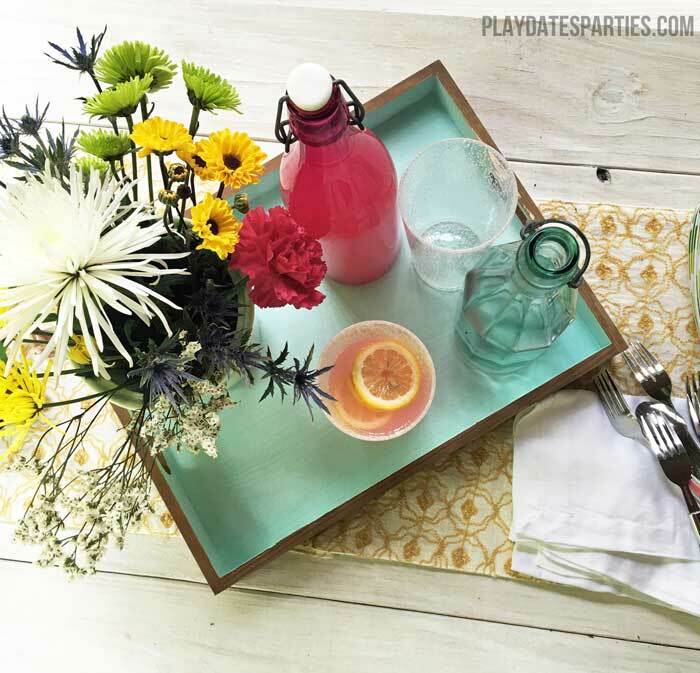 This tray was actually an inexpensive wood tray from Target. The interior of the tray got a coat of teal chalk-style paint, and the exterior was painted with an easy homemade stain. Don’t you just love the contrast? It’s the perfect cheery color for spring and summer! There you have it! How to use chalk paint in four fun and easy ways. Plus, we also went over the benefits of chalk paint, and a simple homemade recipe so you don’t have to spend oodles of money on a single color. Have you ever used chalk paint? How would you use it if you had some right now? I love the chalk paint effect, though a super shiny metallic could be gorgeous, too. Let me know if you do try this! It is super expensive! But a big box of Plaster of Paris was pretty cheap. I used both latex and acrylic paints, and they both turned out great, so the homemade stuff doesn’t have to be expensive! I’ve never painted mason jars but girl you are rocking it! I saw that photo on Instagram and thought it was so beautiful. Thank you so much Nina! There are a lot of gorgeous photos going around for this challenge. I can’t say I’ve had the pleasure, but I think Cassidy would love chalk paint! And it gives the mason jars such a wonderful look. I’m in! I’ve been interested in using chalk paint for some time but never looked into it enough to realize it cost that much! 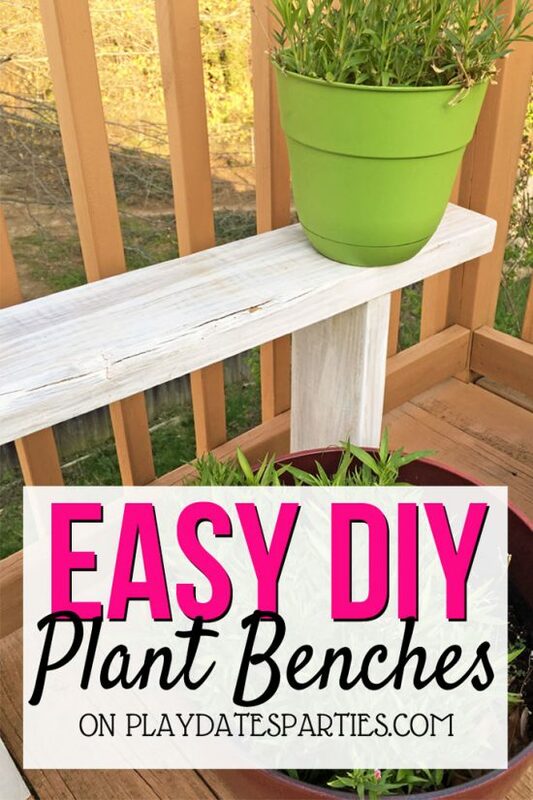 I like your idea to go the DIY way! I’ll have to check out that tutorial on how to do it myself the next time I’m feeling crafty. I love how that bird came out, too! I love how matte it is. Very vintage-looking. If I had chalk paint (and I do!) I’d paint two mason jars – one in bright pink/red like a watermelon slice and the other yellow like a lemon. I plan on painting two just like this for my family reunion – and put these jars in a galvanized tote to put silverware in. 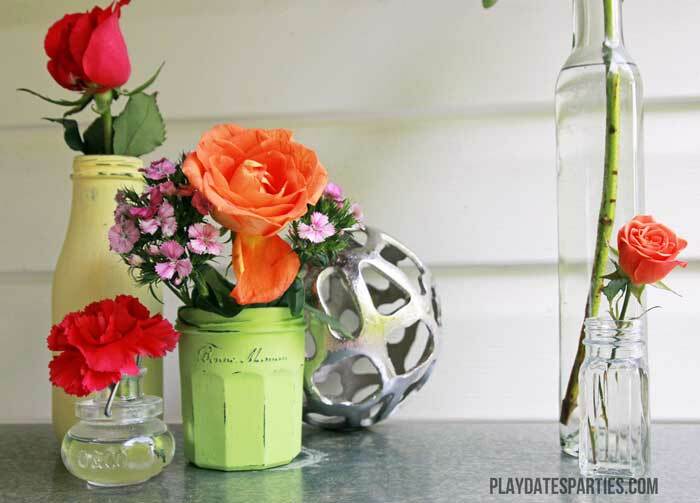 After the picnic, the jars can be used for flowers, pencil/pen holders, and lots more stuff! I love chalk paint. 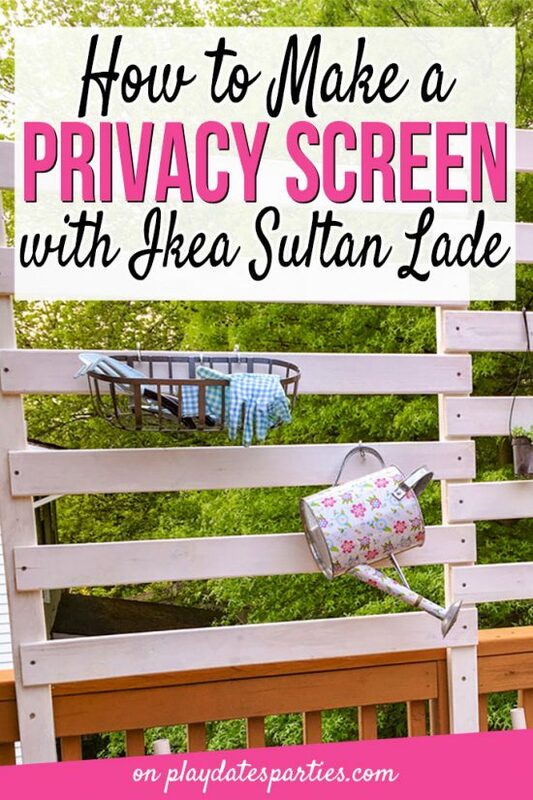 I love them all but the brick is my favorite – great idea! Thanks for sharing your ideas at the Pleasures of the NW’s DIY party! It is so fun to open the door to new ideas by finding something like how to make chalk paint. I haven’t done chalk paint… and really don’t have time for such projects at the moment, but I love figuring out new things I can use… like you have done here. 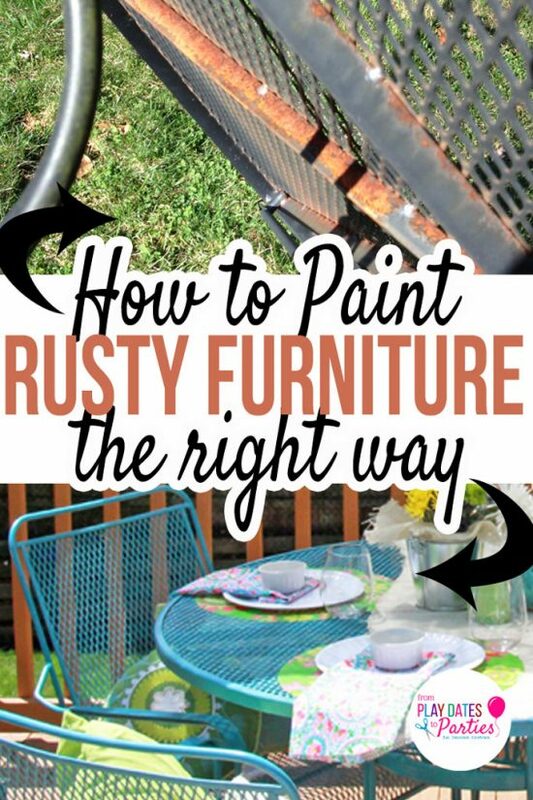 You will probably find lots of ways to use this “new” chalk paint. 🙂 Thank you for sharing this! 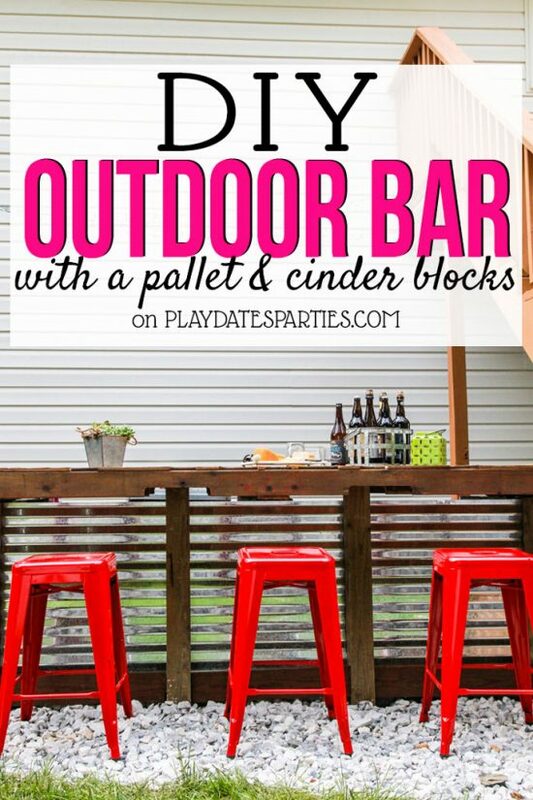 Love the cinder block! 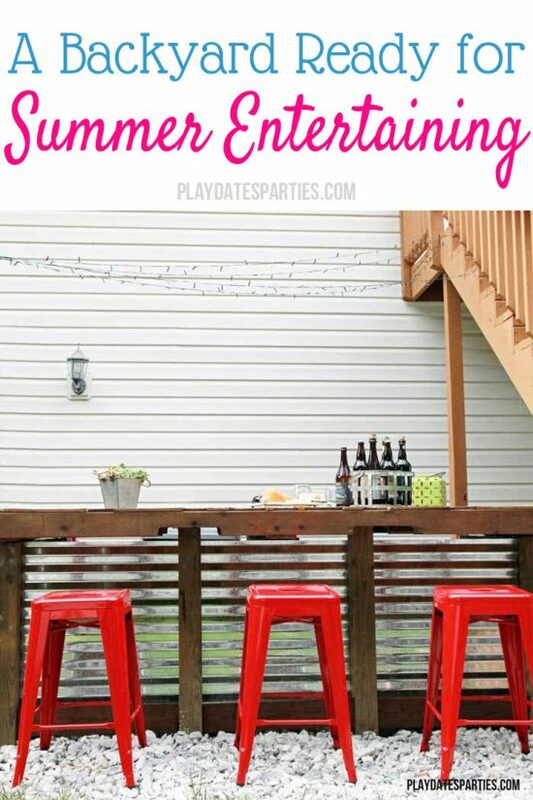 I’ve yet to use chalk paint, which probably makes me a horrible DIY-er!! 😉 Visiting from Made By You Monday party. Great ideas. Love the jars! I need a project. I’ve got the bug. I love that brick idea – that would really spruce up a yard with just doing something simple. Pinning that to try when I get time. The little bird looks so cute. I love the power of paint, especially chalk paint. And once you start with it you won’t be able to stop. I just love the way jars look when they are painted! Those make great decor! But that cinder block!!!! That is too cute. Thanks for sharing. Your jars, bird, tray and block all look so pretty, your colors are great. Thanks for the good tutorial and sharing with the Pit Stop community. I looooove chalk paint. I went through a major chalk paint obsession a few years back. It holds up on furniture so freaking well. We love using chalk paint for many of our projects. Thanks for sharing your tips and projects. Thanks for sharing at the Inspiration Spotlight Pinned & sharing. 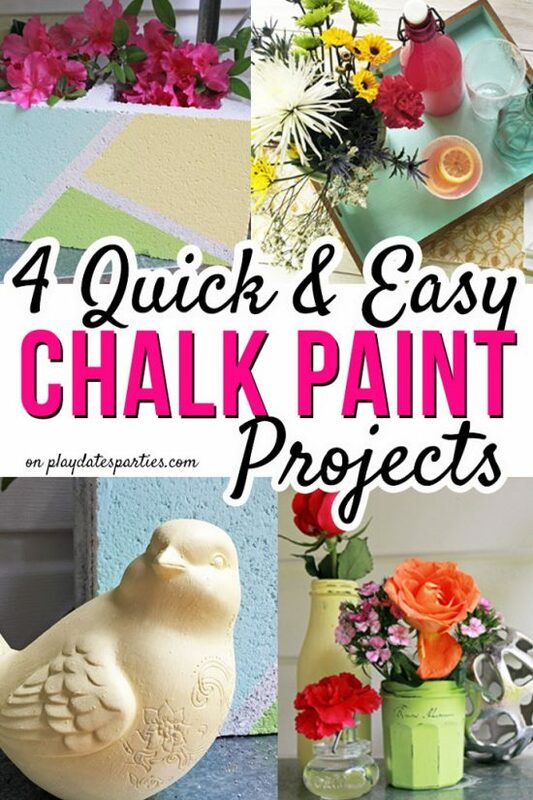 Love all of your chalk paint projects. I’ve used chalk paint before and love it. Next big project I’m going to try making it myself. Thank you for sharing at Snickerdoodle. Thank you for sharing at The Really Crafty Link Party, this week. Pinned. 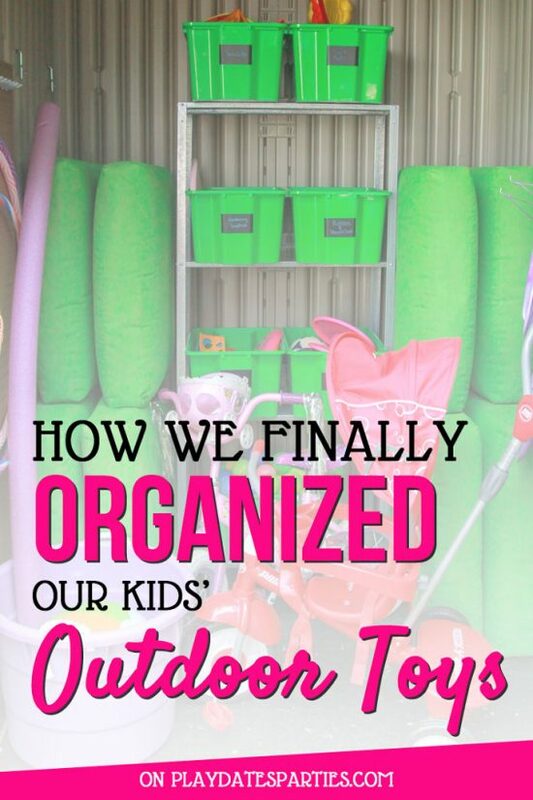 Such a fabulous idea! I was very intrigued by the possibility of creating a DIY chalk paint and so stoked to have learned about Plaster of Paris! Love all these ideas!! I have used chalk paint on mason jars before, but now you have inspired me to use it in so much more!! What great ideas – I really like the refresh it gave to the ‘granny chic’ figurine. Thanks for sharing with Party in Your PJs! The only prepared chalk paint have ever used is commercially made/inexpensive compared to big brands of chalk paints. Got some at Joanns last year, they were closing out. I liked it but was limited by colors they had. Most of time don’t have money to buy prepared paint except when acrylic on sale. We live out a ways from craft stores where can buy craft paints. Where we live most of craft stores are slow to have new formulas available, very frustrating. I read about all the new formulas but then it’s months before can find it here (Grand Junction, CO). Can’t afford to buy then pay for s&h also. We live few miles west of G.J. 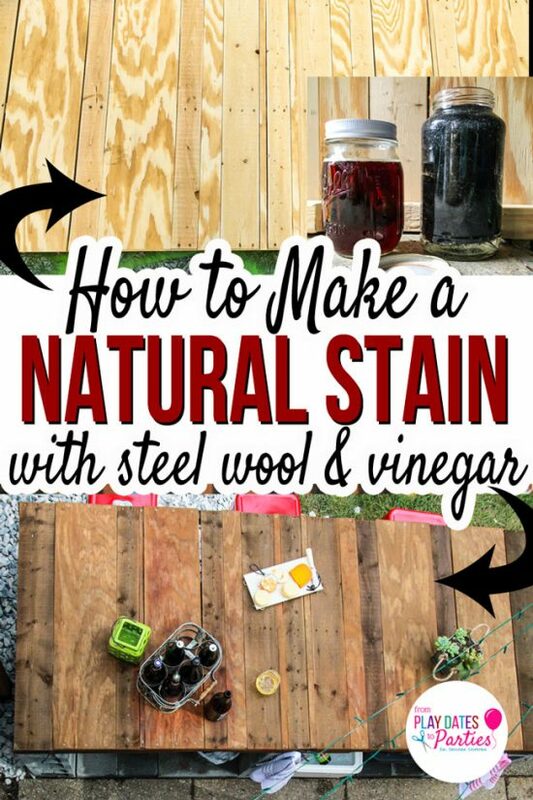 Have printed out this post about chalk paint and how to make stain. Think all this info will be invaluable.